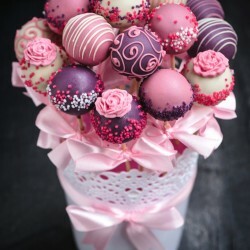 Cake Pops Parties was founded in 2012 when baker Jessica Joyce quit her day job in catering to follow her passion for cake pops. 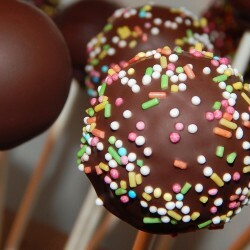 Their cake pops are handmade, baked to perfection and skillfully modeled on sticks to delight their customers. 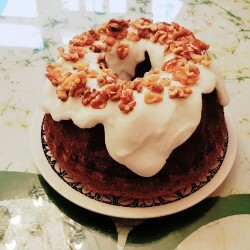 They use natural, organic ingredients for their fine vanilla moist sponge cake crumb particles that are delightfully blended with rich butter cream frosting and formed into cake pops by hand. Cake pops sticks are inserted before being given a generous thick coating of chocolate flavour melts and edible decorations. 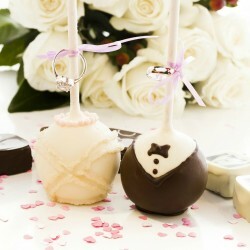 Feed your cake pops passion with these wonderful and unique cake pops at birthdays, baby and bridal showers, or even weddings!